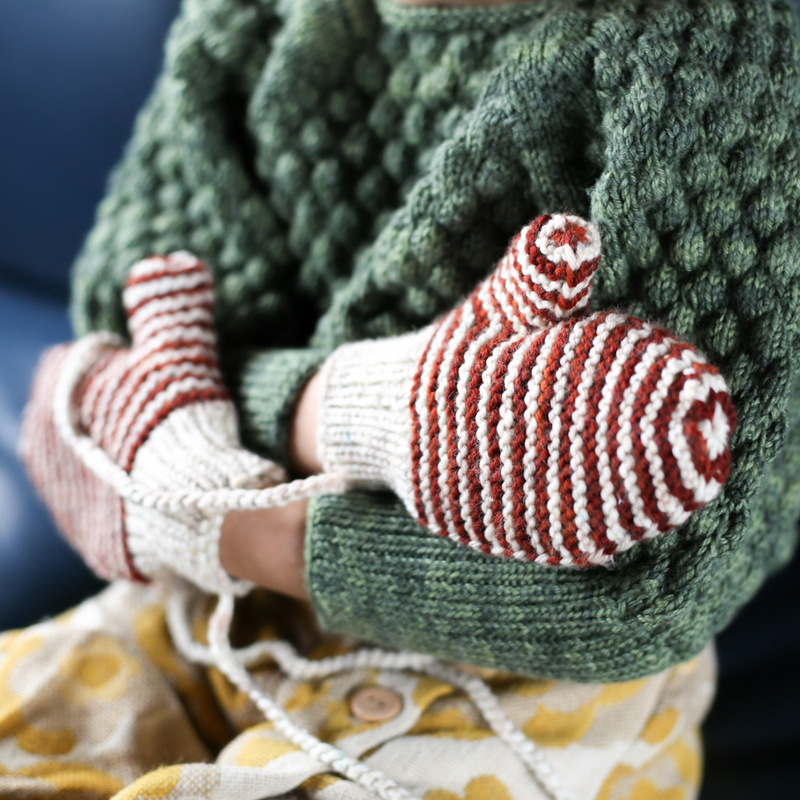 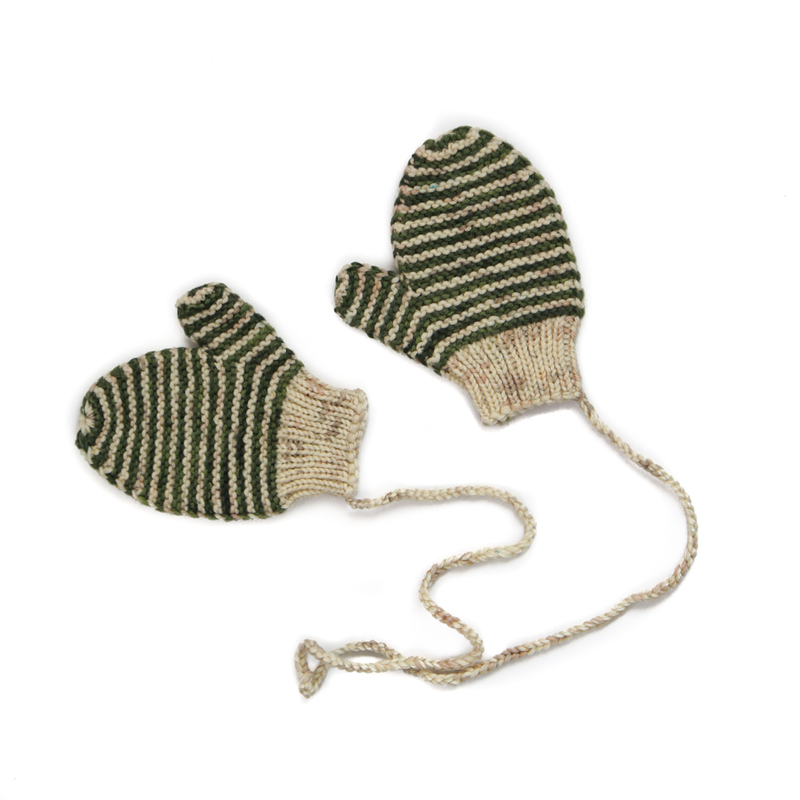 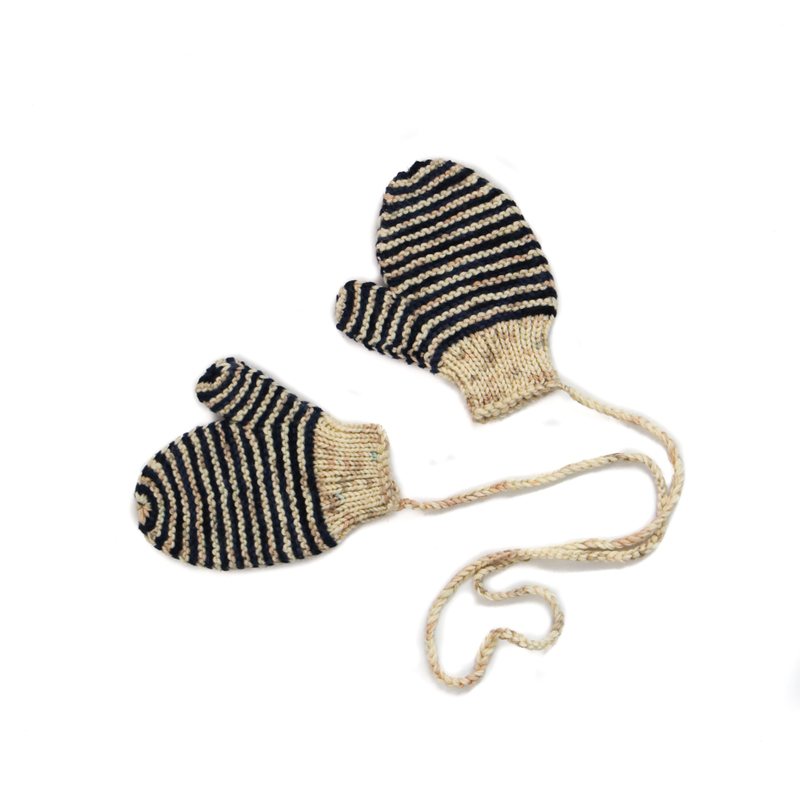 Hand-knitted in garter stitch with classic stripes, Divna mittens are easy to put and comfortable. 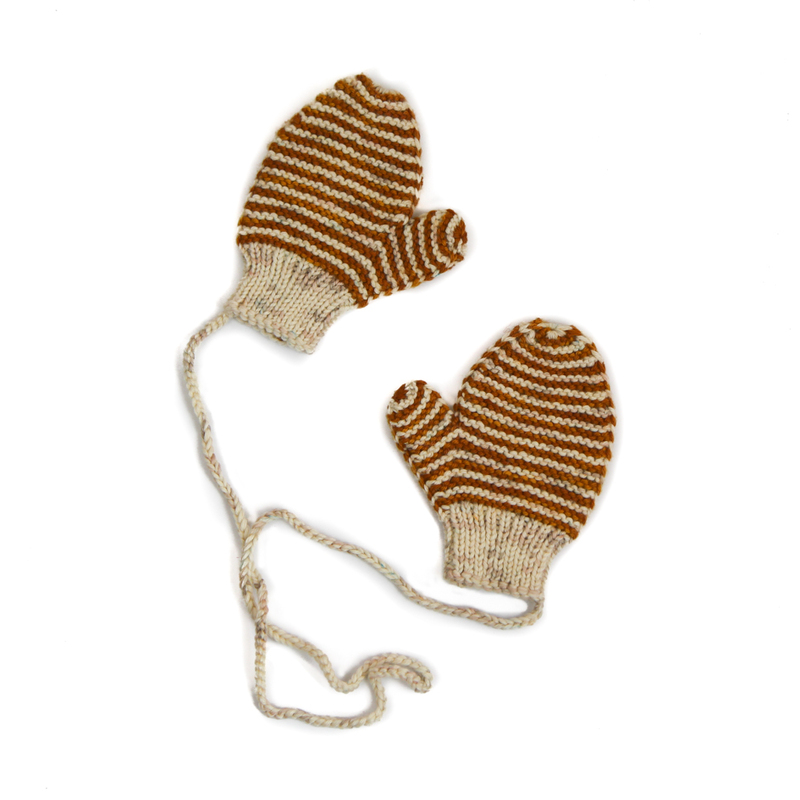 Go well with the Divna hat and scarf. 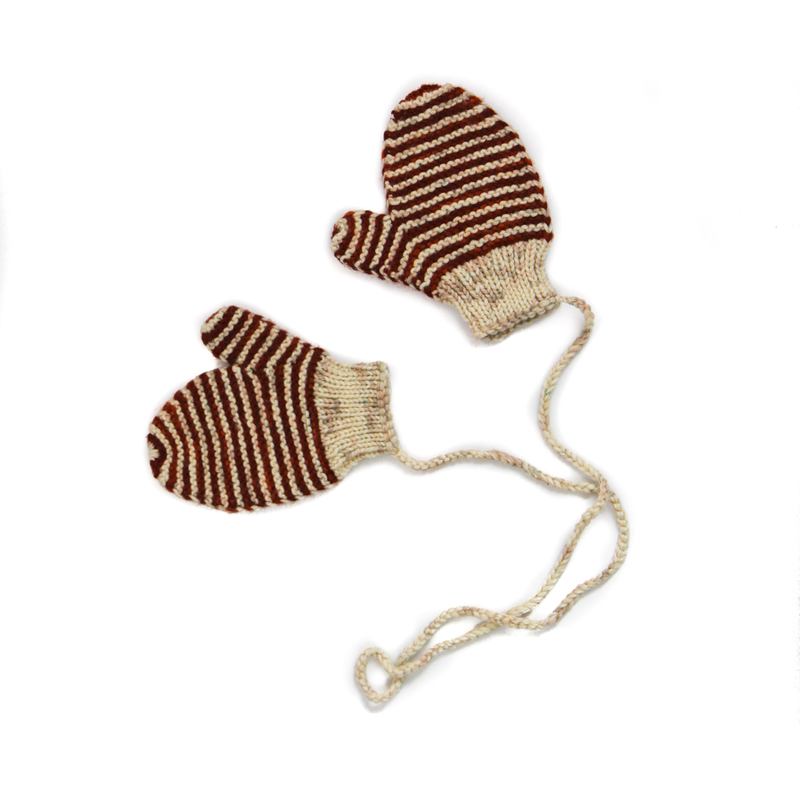 Size 0-12m has no thumbs.